Minions mod adds yellow oblongated creatures to MCPE, players likely know them from watching movie that called Minions. 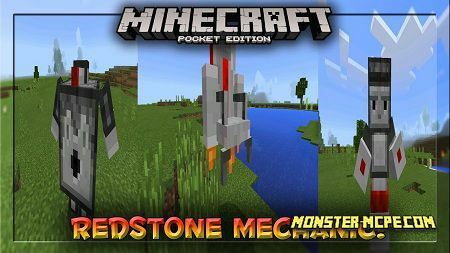 They are real minions in MCPE, new creatures can be friendly and also evil, add-on also adds Felonius Gru in the game world. You may use minions in different ways by taming, fighting or making them do what you want. Your new friends will hunt animals or catch fish for you! Where can I find minion in Minecraft? Minions will appear in Nether world, so you can seethem in that dimension. This creature spawn to the world instead of zombie pigmen. Take suitable egg for spawn when you want to create minions by yourself. When you wonder to tame a minion it’s possible to find an adult one and feed him. Use bananas (carrot) for taming, then minions become your friend. Players have a chance of 33 percent for taming a minion in Minecraft PE with this mod. Feeding a baby creatures leads to their growing, the process become more progressive. Give any item from this list to minion and he starts to current job. It takes about 1-5 minutes to be completed, after a while the task is done! Press a button to get all goods then minion collected. As you can see, minion gived me some fish! Minions aren’t cowardly. Tamed minions will fight with every creature that you attacked. Else they attach everything you want to destroy or kill. You may create an evil minion in a few ways. These creatures appear in the world randomly, because they are instead of skeletons. It’s also possible to change simple minions into evil. It works in an opposite direction too. As many players know Gru is a one of the most recognizable character in the movie that’s called Despicable Me. At first he was a villain but for a time he became the Anti-Villain League assistant.This character will be friendly to player and you can tame him, take a bow for doing it. Then Gru will protect you from aggressive creatures in Minecraft world. New banana textures instead of carrot crops.